1. 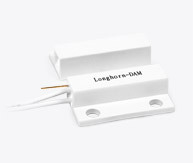 The detector is designed with ABS housing in white. 2. The contact mode can be COM.,N/O or N/C.